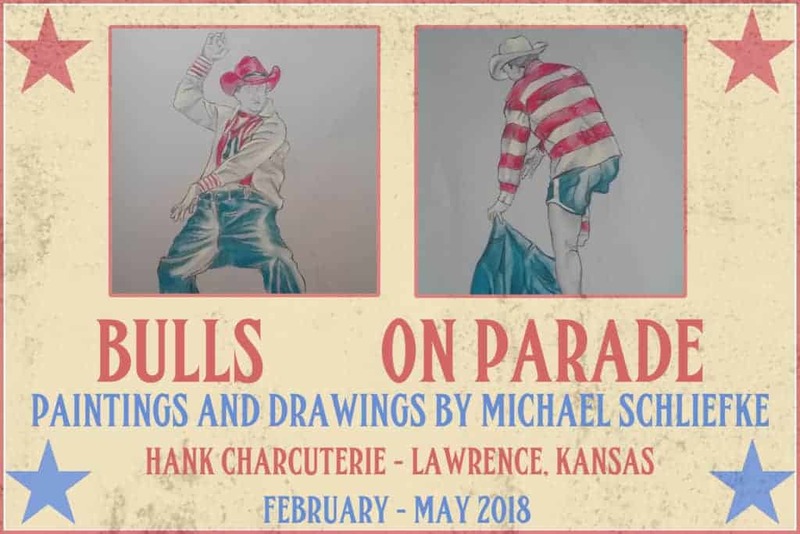 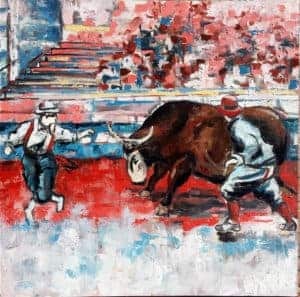 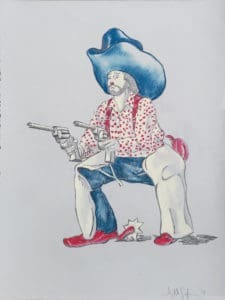 ‘Bulls On Parade’ features work from the latest series of paintings and drawings from Kansas City painter Michael Schliefke. 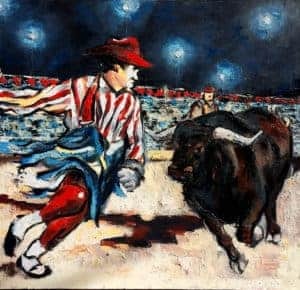 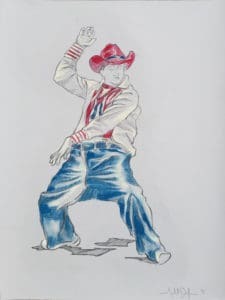 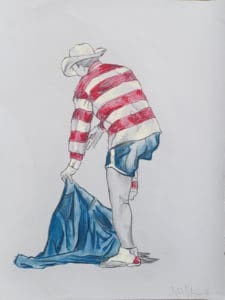 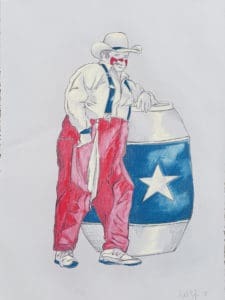 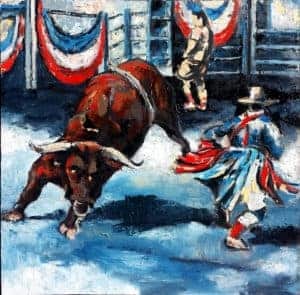 ‘Bulls On Parade’ centers around the conflict between raging bulls and boorish and outlandish rodeo clowns clad in patriotic garb. 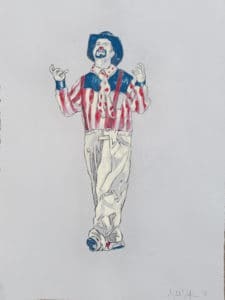 The bravado, false hopes and theater represents today’s America. 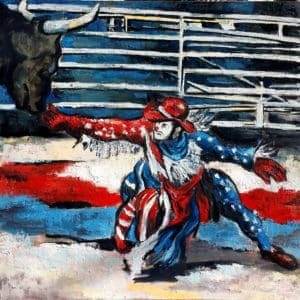 Michael Schliefke paints in his studio in downtown Kansas City, Missouri. 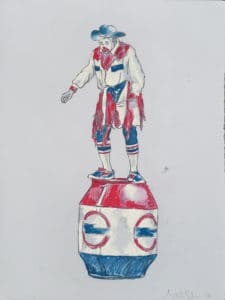 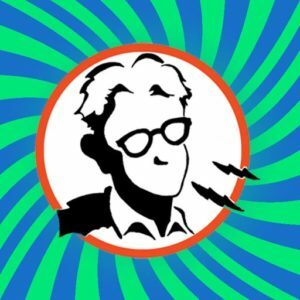 The show opens on Final Friday, February 23, 2018. 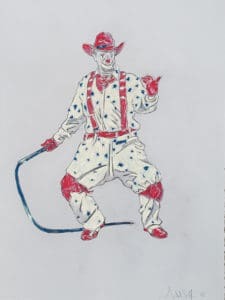 Michael will be in attendance, and the paintings and drawings will remain on view at Hank Charcuterie until May. 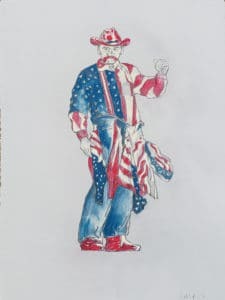 Below is the work that makes up the exhibition, four 40″ square oil paintings on canvas, followed by eight pencil and pastel drawings on Stonehenge Paper, 22″x30″.